The world now knows to its cost that the great investment banks lost all sense of disciplined prudence as they greedily grabbed glittering profits in deregulated markets. By developing ever-more sophisticated and complex financial instruments, sharp traders were able to make massive gains for their employers and earn huge cash bonuses themselves. But these flawed practices were a recipe for disaster, leading to the near-collapse of the international banking system in September 2008. For those with eyes to see, events at one of France’s most respected banks earlier that year provided a dramatic pointer to the trouble in store. The Societe Generale trading loss is a tangled web that has never been unraveled, but there’s no dispute about the bottom line. Over three January days, at a cost of 4.9 billion euros, the bank closed out positions built up over time by a single trader named Jerome Kervie, in the process losing a staggering sum that would represent a respectable annual budget for many a small country. 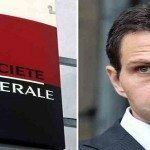 According to the bank, Kervie engaged in unauthorized trades totaling around 50 billion euros – thus personally exceeding Societe Generale’s total market capitalization. Kervie countered by claiming that the bank was aware of his complex wheeling and dealing but turned a blind eye because it was so profitable. He added that others were doing similar business with management’s tacit approval. Kervie’s story was given credence by the fact that – while he expected a 300,000 euro bonus – he earned it by making a two billion euro profit for the bank and didn’t fraudulently divert any funds into his own pocket. In the end, despite the mayhem caused by his actions, Kervie admitted to no more than exceeding his credit limits and faced only minor charges of illegal access to computers and abuse of confidence. Toll: None (though Societe Generale’s reputation was hardly enhanced). You should know: There were international repercussions when Societe Generale started the forced sale of Jerome Kervie’s complex positions. The bank’s action contributed to a sharp fall in European stock markets, which in turn led to an emergency cut in the US Federal Reserve’s inter-bank lending rate. It was the start of a steep and slippery slope leading to the global banking crisis.